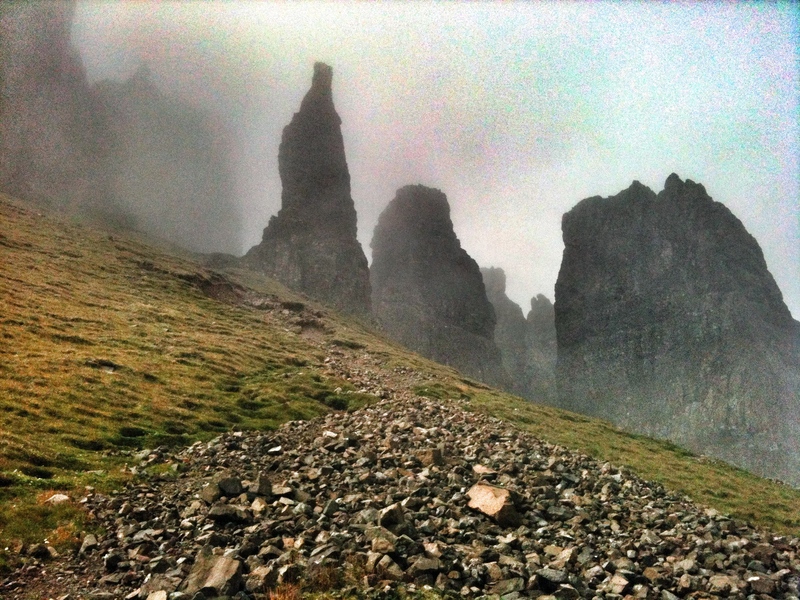 I took these photos while climbing the Quiraing,on the Isle of Skye this June. All mountains lift my spirit and infuse me with a sense of freedom. Its as though walking up into the clouds peels away layers of tightness I hadn’t even noticed gathering within me. I feel closer to something spiritual, and there is a timelessness, where the earth meets the sky. This particular mountain area has a spiritual vibe deeper than almost anywhere else I have visited. Every visit fills me with awe, and as the clouds swirl in shifting patterns around the strange and jagged rocks, and the views open up across the sea, I breathe out and let my spirit run free. All my worldly worries have been abandoned on the lower slopes, and every step along the stoney path carries me further away from them. I am left free to soak up the space and vision offered on these high peaks, and to renew my creative free spirit, watched by the sentinals of stone which have towered here for millenia. 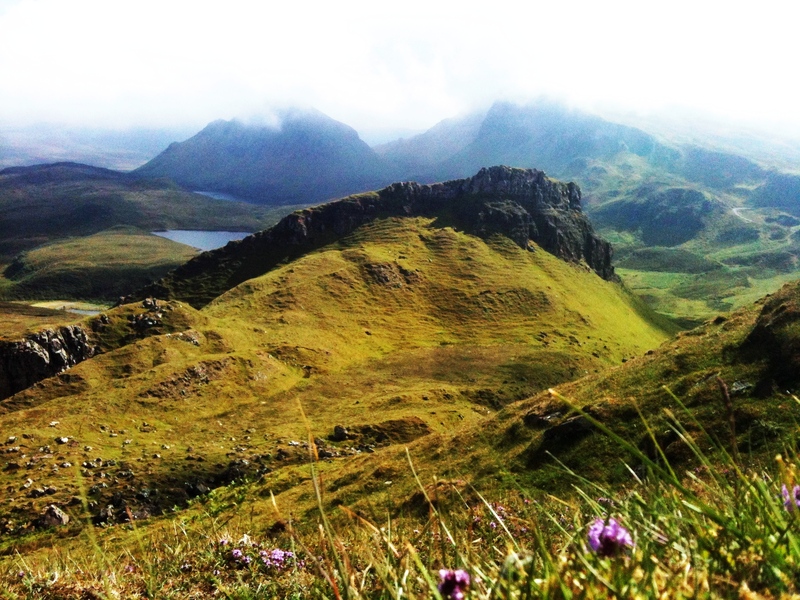 This entry was posted in green walks, mindfulness, photos, spiritual, weekly photo challenge and tagged free spirit, Highlands, Isle of Skye, jagged rocks, mindfulness, mountain, nature, outdoors, photo, postaday, Quiraing, relaxation, Rosshire, scotland, scottish, Skye, travel, walk, walking. Bookmark the permalink. Thanks for looking and likeing 🙂 The first photo is one of my favorites. Your photo made me smile..I like her laid back look!